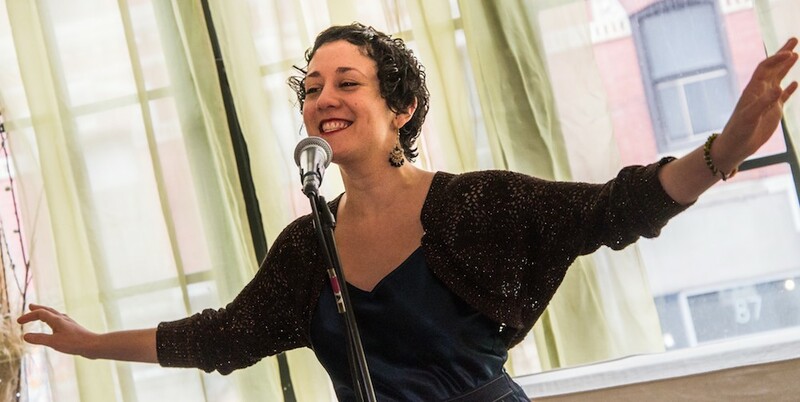 Since 2004 Tamar Korn has been a full-time New York City-based vocalist playing a repertoire steeped in early jazz tunes of the 1920's and 30's and traditional New Orleans jazz, western swing, and American roots music. Formerly of the Cangelosi Cards, she now leads A Kornucopia, plays in the Brain Cloud (western swing band led by clarinet/mandolin/fiddle player Dennis Lichtman,) has a duo with blues woman Mamie Minch, is part of The Grand Street Stompers (led by trumpeter, arranger, and composer Gordon Au), and is an extended member of Baby Soda Jazz Band (Jared Engel and Peter Ford). As well, Tamar plays on occasion with renown violinist Mark O'Connor, Irish folklorist and tenor banjo/bouzouki player Mick Moloney, and stride and ragtime pianist Terry Waldo. She is known for her love of singing songs both lyrically as well as "instrumentally" playing her voice. Tamar has traveled for music throughout North America, as well as to Scandinavia, Europe, Lithuania, China, Israel, the Caribbean, and to study in India. She loved being at the Rochester Jazz Festival in 2015 with The Brain Cloud, and is honored to come back in 2019 to lead an ensemble, A Kornucopia!